Do You Have Proper Artwork? If you are looking into having vehicle wraps, large format graphics or T-shirts done you will be asked this question. Do you have proper artwork? Maybe you are uncertain but the Fast-Trac Designs team is here to help you understand proper art formats, unusable art formats and what options you have to acquire the necessary art in order to complete your project. 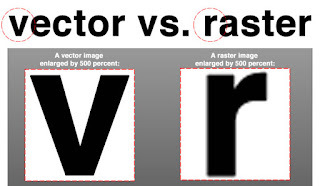 I know, now you are asking "Can my raster art be converted into vector art?" The answer is YES! We do have a very knowledgeable design department that can recreate your art to be the proper usable vector format. Whew! That is a lot of information, but don't worry because the team at Fast-Trac Designs is here to guide you and your artwork is just the beginning. We work with our clients throughout the entire design process on every project. We hope that this helped you understand if you have proper artwork.